Students in introductory science courses frequently have difficulty comprehending complex graphics such as contour maps. Computer-assisted instruction (CAI), because of its ability to convey the same information in different formats, may help students gain necessary graphic interpretation skills. The present research examines effects of graphic presentation formats on interpretation of standard contour maps. Students first practiced reading two temperature maps in either a standard black and white contour or a color-enhanced contour format and were divided into four groups defined by the combination of map formats they received. Students then completed tests using only standard contour maps. Tests examined comprehension of the distriburtion of sea surface temperature, oceanographic phosphate concentration, and brain activation. Results suggest that having students practice with differently formatted maps of the same information improves later comprehension of standard contour maps. These findings have implications for teaching complex graphics and for computer-assisted instruction design. Volcanology for Earth Science Teachers (VEST), a teacher enhancement project conducted by the University of Hawaii at Hilo (UH-Hilo), was funded by the National Science Foundation from 1994 to 1996. During the project, a total of 75 middle- and secondary-school Earth science teachers from Hawaii, Alaska, Washington, Oregon, and California participated in the three-week summer workshop, which consisted of classroom sessions held at UH-Hilo and in Hawaii Volcanoes National Park plus field excursions to the five volcanoes that make up the island of Hawaii. In the VEST workshop, the teachers gained information and teaching ideas about volcanic processes, products, and features; volcanic and related hazards; and eruption monitoring and prediction. The teachers, who were selected through a competitive application process, were required to develop a lesson plan for a teaching activity related to volcanology, conduct an inservice program in their school district based on their VEST experiences, and contribute an article to the bi-monthly VEST newsletter. Project LAVA is a self-supporting educational program that continues to offer the VEST experience to all teachers. A site investigation in which students act as remedial project managers for the state, the polluter and the local community has been designed as a problem-based learning exercise in an upper-level environmental geology course. The 3 week long (6 class meetings) exercise serves as a capstone experience for the class and capitalizes on a series of lectures and laboratories that introduce students to environmental regulations, aspects of site investigation and contaminant remediation, the physical and chemical properties of inorganic and organic contaminanats, well log interpretation, plume delineation, and risk assessment. The design of the exercise requires students to develop a functional collaboration in order to meet assignment deadlines and complete the investigation. While each group develops a different dynamic, the introduction of problem-based learning into the environmental geology curriculum has given students the opportunity to develop the problem solving skills necessary to manage a complex environmental investigation. Typically, students from a wide variety of academic majors and backgrounds enroll in introductory Geographic Information Stystm (GIS) courses. In these classes, students learn the basic analytical skills and geographic science in order to appropriately use a GIS, while also learning the mechanics of a particular GIS program. In order to engage the class more fully in the learning process, we ask each student to select a topic that captures his/her interest (for example their major, hobbies, sports, or other interests) and to create a GIS lab around it. Also, we ask our students to solve some GIS questions using resources other than the instructor(s). As students in the GIS class realize their work requires a skill not fully covered in their previous course work, they need to learn the steps to accomplish the task(s). After discovering the solution, the students write the procedures, which then become incorporated into a student-generated GIS reference manual. 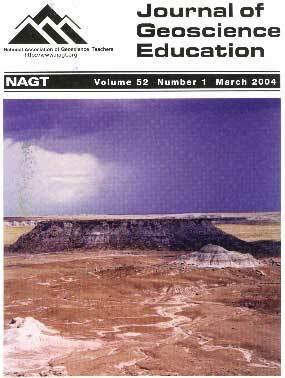 This manual acts as a resource to all students and faculty using GIS. These projects require the students to engage problem-solving and communication skills in addition to their GIS abilities. We have found that in generating and executing these exercises they cover a variety of pedagogical goals. Inquiry-based study focused on the campus watershed was initiated at Binghamton University after creation of an undergraduate Environmental Geology Track within the Geological Sciences curriculum. Use of the watershed in environmental geology courses has been implemented to 1) promote active learning outside of the classroom; 2) allow students to work with state of the art field and laboratory equipment and "real world" data; and 3) encourage interdisciplinary thinking. The longer-term goal is to enable undergraduates to conduct meaningful, field based, 'capstone' research projects. A grant from the National Science Foundation supported instrumentation of the entire campus watershed into a readily accessible field laboratory; included are groundwater monitoring wells, equipment for measuring and sampling stream flow, a meteorological station, a wet and dry deposition collector for sampling atmospheric quality, and portable environmental monitoring equipment. In addition, geophysical equipment, including seismic refraction and reflection, DC electrical resistivity, and gravity anomaly measurements, is used to determine subsurface structure at various locations on campus. The undergraduates are now able to explore differences in physical and chemical processes between and within the atmosphere, hydrosphere, and lithosphere on real-time scales. The use of this equipment and the watershed focus has been fully incorporated into three inquiry-based undergraduate courses (Environmental Hydrology, Environmental Geophysics, and Environmental Measurements) to foster interdisciplinary learning about the complexity of watershed-based processes. This manuscript describes the campus field stations, presents examples of field exercises, and assesses the impacts of the program to date. A model to encourage the utilization of geoscience educational resources within public nature-type parkes is being developed in Harrlman-Bear Mountain-Sterling Forest State Park, Hudson Highlands, New York using multimedia techniques. The model uses a videotape to pique peoples interest and encourages them to visit a web site which in turn encourages them to see the rocks in the field. The videotape was produced by combining footage shot in the park with footage of prime examples of geologic features and custom animations to create an entertaining yet informative presentation. The fast-paced video is designed to inspire interest and enthusiasm in the geology of the park. Interested people are encouraged to visit an interactive web site. It provides the scientific background to the features in a stepwise matter of increasing complexity from simple pictures to advanced geochemistry, isotope geochemistry and structural geology. This allows visitors to find their level of interest and comfort. There are suggested general and topical field trips and a form to apply for a group permit. This paper categorizes over one hundred print and web resources that use food to demonstrate earth science concepts with the goal of placing these resources in a more usable format for K-12 earth science instructors. Most activities: 1) are found with nearly equal frequency from journals and from the web; 2) feature geologic rather than weather-,water-, or space-related themes; 3) are designed for a primary and middle school audience, but are adaptable to almost any education level, including introductory college classrooms; 4) meet the "Structure of the Earth" middle school National Science Standard; 5) require less than 30 minutes of instructor preparation; 6) cost less than $20 in materials for a class of 25; and 7) are adaptable for variety of group sizes. Outstanding examples of edible earth science include using candy bars to demonstrate weathering concepts, orange peels to mimic plate tectonics, and cookies to demonstrate mining and environmental reclamation. These activities are interesting, promote active learning, facilitate the teaching of the K-12 National Science Standards, and offer opportunities for interdisciplinary education. The main disadvantages of using this approach are safety concerns and, in some cases, extensive preparation. Related Web Sites: Cookie Mining, The whipped topping Ozone demo, The Trouble with Textbooks, Edible Conglomerates, Mount Rainier Birthday Cake, Modeling Ohio's Geology, Snap, Crackly, Jump, Edible Rocks, Splitting the Smartie, National Science Education Standards, NASA/Ames Research Center, National Science Foundation, Can I Make Raisins? A reconnaissance study of the geology professional development progran known as RockCamp was initiated to examine the sustained, or recurrent, participation of K-12 science teachers. Open-ended interviews, concept mapping, and creative writing assignments were used to explore the perceptions of six teachers possessing an exceptional record of participation. Efficacy, fun, right time of life, and support emerged as unanimous reasons for recurrent participation. Content, friendship, and metholology were very important. College credit was not critical. These teachers' perceptions suggest their sustained involvement in the RockCamp Progran is stimulated by situated learning experiences stressing a compare, contrast, connect, and construct pedagogy within a supportive learning community. Service-learning practice has been implemented in a number of upper division geoscience courses taught at the University of Connecticut. These courses include engineering geology, environmental geophysics, exploration seismology, and geology and geophysics field schools. The objectives for implementing service-learning practice are (1) to foster student interest in earth sciences through community service; (2) to enhance university outreach through interactions with communities by helping solve local geological and environmental problems; (3) to enhance students' learning ability by applying course knowledge to real-world problems; and (4) to encourage the student-centered learning process and team-work as the cooperative learning. The response from participating students and local community leaders to this practice shows that service-learning is an effective way to improve geological undergraduate learning. It has the capacity to foster learning, teaching, and undergraduate research, and facilitates multi-lateral interactions among students, faculty members, and local town public work professionals. According to national standards, eighth graders should possess appropriate understandings regarding groundwater and its role in the hydrologic cycle. This study identifies what types of ideas eighth graders actually possess, providing invaluable information for high school and post-secondary science teachers in addressing students' prior conceptions. Students completed surveys composed of one multiple-choice item and one drawing prompt. The multiple-choice items were scored using a rubric and each drawing was analyzed for evidence of understanding of groundwater formation, movement, and storage. Class discussions regarding a groundwater model were videotaped, transcribed, and coded. Results indicate students hold naive conceptions concerning groundwater. The natures of those conceptions are not readily apparent due to students' conflicting use of vernacular and scientific language. Additionally, students' spatial reasoning plays a significant role in the development of their naive conceptions of groundwater. A software system, named Seismic Internet Monitoring Application (SIMA), has been developed to allow near-real-time display and evaluation of seismic traces via the Internet. SIMA consists of three components: an embedded microsystem which connects directly to the seismometer amplifier; a network-enabled server that locally displays and records the data while broadcasting over the Internet; and a client software application that allows for remote display, evaluation, and storage/retrieval of seismic data. Because the embedded microsystem can broadcast as many as four seismometers, and because the local server can connect to an arbitrary number of embedded Microsystems, the user can simultaneously display signals from an arbitrary number of seismometers. Presently, seismic signals are available from two institutions to demonstrate the functionality of the system. All SIMA software components are available for downloading at www.physics.moravian.edu/seismic. Any classroom or person with an Internet connection can receive the seismic signals in near-real-time by downloading and running the SIMA client software on a computer that runs any version of Windows from 95 through XP. Classrooms connected to three or more servers can use the signals to locate earthquake epicenters. The system is free and available, and will be further developed to support additional educational applications. A university campus geology walking tour can provide students with the opportunity to examine a variety of geologic features as well as rock, mineral, and fossil specimens contained in building stones, monuments, and rock gardens. By incorporating handheld GPS receivers into the tour, the students are given the additional experience of using a relatively new technology as part of their field activity. The two combine well, and we find that students enjoy both the opportunity to apply knowledge they have learned in the classroom and the opportunity to gain a basic understanding and appreciation of GPS technology. Despite historical linkages, the fields of geology and soil science have developed along largely divergent paths in the United States during much of the mid- to late- twentieth century. The shift in recent decades within both disciplines to greater emphasis on environmental quality issues and a systems approach has created new opportunities for collaboration and cross-training. Because of the importance of the soil as a dynamic interface between the hydrosphere, biosphere, atmosphere, and lithosphere, introductory and advanced soil science classes are now being taught in a number of earth and environmental science departments. The National Research Council's recent report, Basic Research Opportunities in Earth Science, highlights the soil zone as part of the land surface-to- groundwater "critical zone" requiring additional investigation. To better prepare geology undergraduates to deal with complex environmental problems, their training should include a fundamental understanding of the nature and properties of soils. Those undergraduate geology students with an interest in this area should be encouraged to view soil science as a viable earth science specialty area for graduate study. Summer internships such as those offered by the National Science Foundation-funded Integrative Graduate Education, Research, and Training (IGERT) programs offer geology undergraduates the opportunity to explore research and career opportunities in soil science. Comments on "The Lifestyle Project"